The official announcement of the Samsung Galaxy S IV is only days away, but the increasing number of leaks may have already spoiled the party. Some images leaked yesterday of the Galaxy S IV that seemed a bit dubious, but then an official teaser image appeared from Samsung last night that seemed to back them up. Now a video has appeared on YouTube of what appears to be a dual-sim variant for China, and it matches pretty closely with what may have been revealed yesterday. 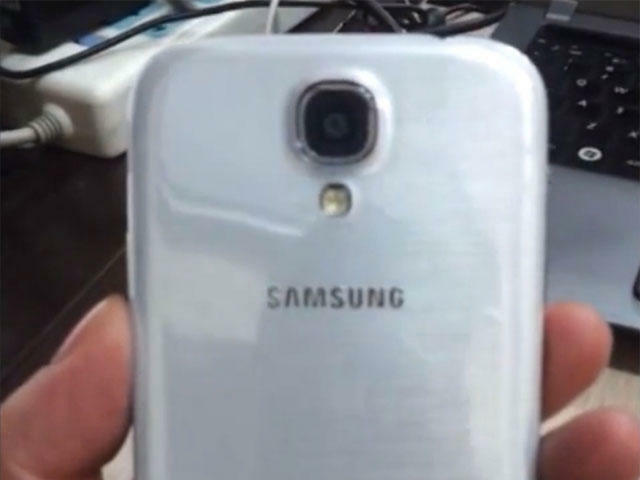 A user known as "istevencom" has posted a video of what appears to be the Galaxy S IV, and, if real, it looks as though not a whole lot will be changing from the Galaxy S III design. Since this appears to be a dual SIM variant for China – note the China Unicom logo during the bootup animation – there is a good chance that this is slightly thicker than the single SIM variant. Should this be the design we see on Thursday, it is clear that Samsung didn't see much need to change things from the "nature inspired" Galaxy S III that it released last year. Considering the success that phone has enjoyed globally, was there really much of a reason to change it up? All will be revealed on Thursday at the Samsung Unpacked event in New York City.